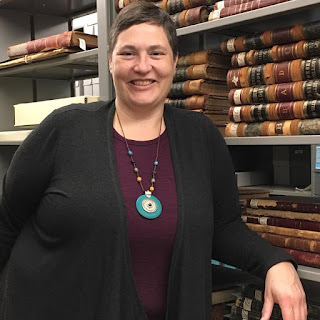 Rachel Vagts is the Head of Special Collections at Berea College in Berea, Kentucky. 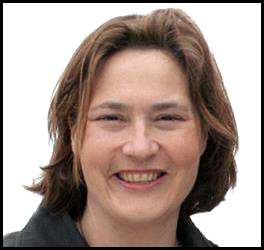 After graduating from Gustavus Adolphus College with degrees in History and Political Science, Rachel attended the University of Wisconsin-Madison where she received a master degree in Library and Information Studies with a concentration in Archival Administration. While working on her degree, she held a number of positions at the Wisconsin Historical Society including as a project archivist overseeing the Foote, Cone and Belding collection. She also worked for one year as an archivist at the University of Maryland. In February 2014, Rachel was appointed as the Head of Special Collections and Archives in Hutchins Library at Berea College. Documenting the rich and unique history of Berea College and the Appalachian region, the collections include rich resources on the abolitionist founders of the college, early interracial education, the great musical and folk traditions of the Appalachian mountain region and much more. Rachel previously served as College Archivist at Luther College. During her tenure she developed the college's records management program and continued to develop the archival collection at the college. She was a member of the college's Collections Committee. which oversees the five special collections at the college and served on the college's Human Subject Review Board. In the summer of 2012, Luther College was awarded a grant from the National Historical Publications and Records Commission (NHPRC) to host the Archives Leadership Institute. Rachel serves as Director of the Institute, held at Luther College during June 2013 - 2015. A leadership program for emerging leaders in the archival profession, ALI includes a week-long leadership intensive on the Luther College campus as well as year-long activities that include workshops, online communities and a mentorship experience. In the summer of 2015, the NHPRC announced a second award to Berea College, the new home for the Archives Leadership Institute from 2016-2018. Rachel is a member of the Midwest Archives Conference and the Society of American Archivists. She currently serves as a member of the SAA Council and the Kentucky State Historical Records Advisory Board. She previously served three terms on the Iowa State Historical Records Advisory Board. Rachel Vagts (c) 2013. Simple theme. Powered by Blogger.